Home » Our Doctors » James Williams, O.D. Dr. James Williams received a B.S. in Zoology from North Carolina State University. He received his O.D. from Pennsylvania College of Optometry, Philadelphia, PA, and did his residency at The Eye Institute, Philadelphia, PA. Dr. Williams has been practicing for 29 years with an emphasis on ocular disease treatment and management. 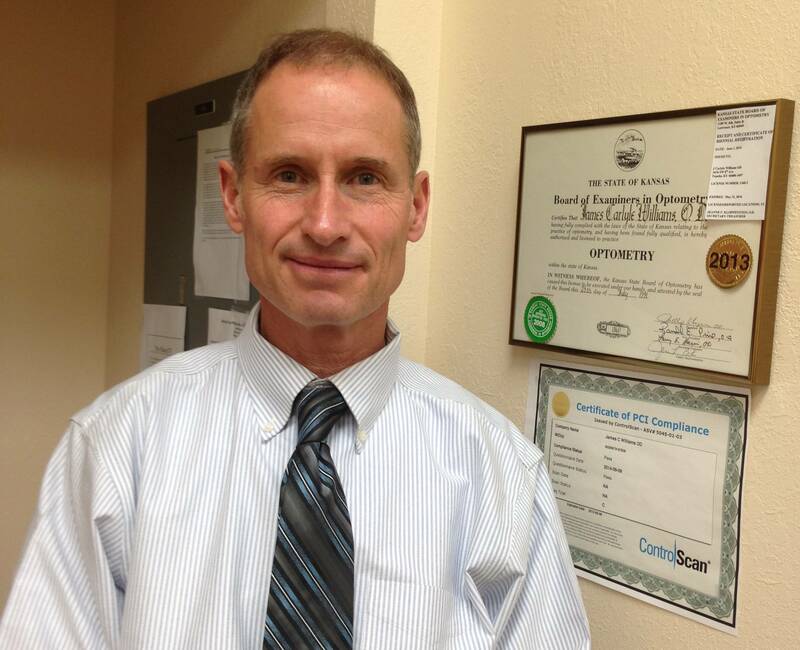 Dr. Williams has been a member of the Kansas Optometric Society and the American Optometric Society for 27 years. Dr. Williams grew up in the foothills of North Carolina and is currently living in the Kansas countryside, enjoying the outdoors and his vineyard with family and friends.